The Last Sunday of January was likely the last time I will be in charge of a Sunday School class. 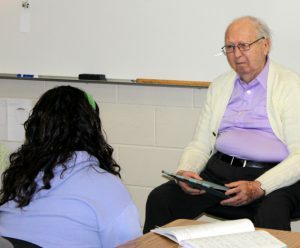 During class time we honored a past teacher: Royal Bauer. 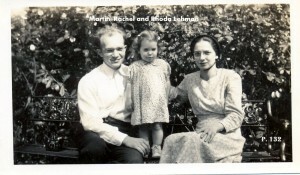 In March, 1949 Royal and his wife Evelyn were sent by the Mennonite Board of Missions (now MMN) as missionaries to India. Unfortunately, Royal’s wife became ill with polio so after only three years in India they needed to return to the US. Her exceptional recovery allowed her to review books, do art work and type on an electric typewriter with the aid of an arm-sling. 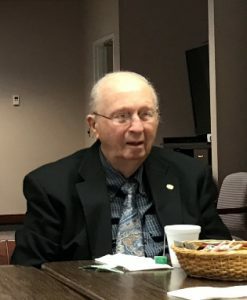 Until his retirement, Royal was a member of the faculty of Bethany Christian Schools, Goshen. Indiana. Let the churches of India give thanks. As was his custom, Royal played the organ for the class, and we closed with refreshments and a social time. Since this was my last Sunday as teacher at Evergreen Place I am back to my usual routines at College Mennonite Church. This includes attending the Borderlands Sunday Morning group and trying to resolve the tension over how to behave when welcoming LGBTQ persons of faith. For me, the tension melts away when I define “all” unconditionally. your post again was a blessing to me. I join you and many others for the life and ministry of Royal and his wife!